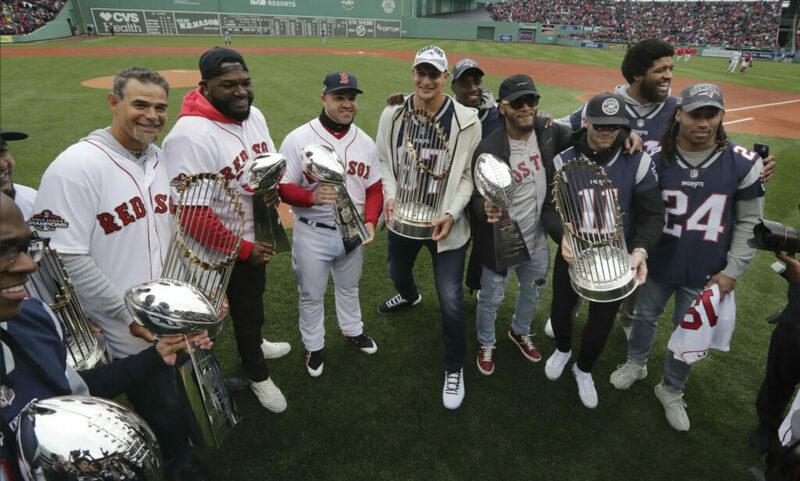 Nearly a dozen former Sea Dogs are among the Boston players honored at Fenway Park as 2018 World Series champions. BOSTON — The kettle drums were carried in. 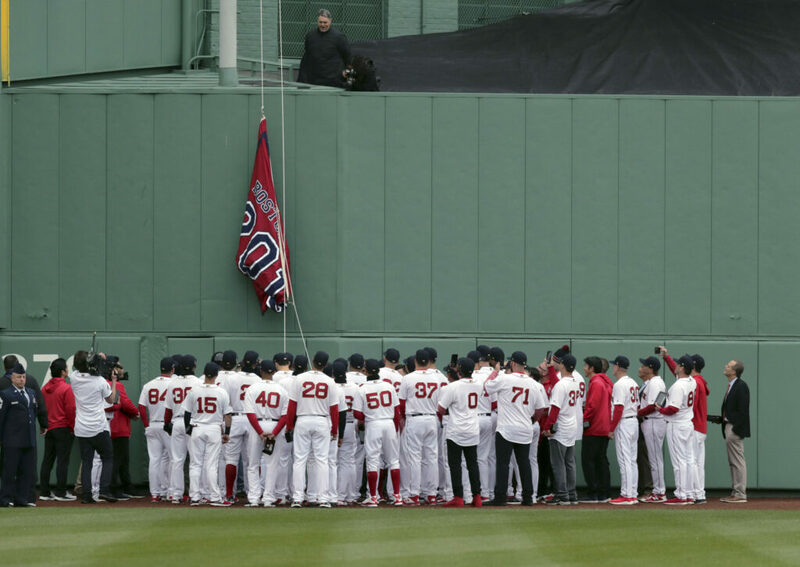 The Boston Pops set up in right field at Fenway Park, distinctive in their white jackets. The pageantry would soon begin, preceding a baseball game. How many times do major league baseball player receive a World Series ring? “It’s going to be a special day. 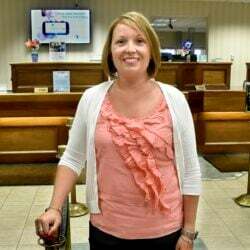 We earned it,” said Cora, before the first home game of the 2019 season. 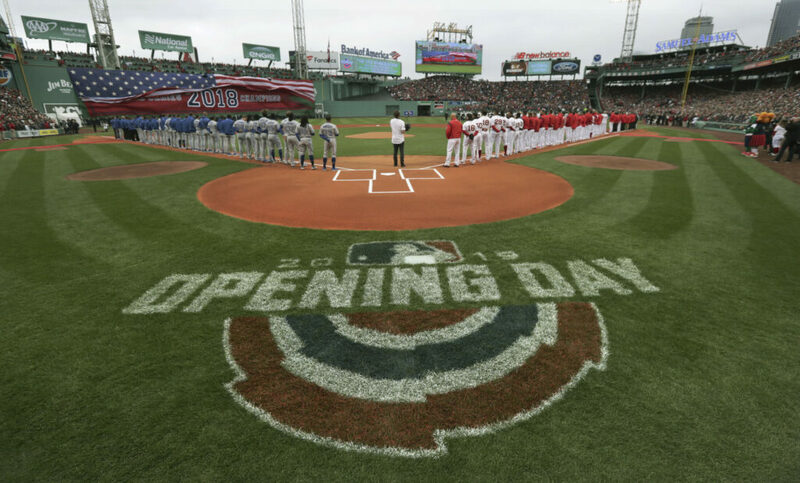 The 2018 World Series champions were a group worthy of celebration – even if this 2019 collection is off to a stumbling start. The Red Sox have stumbled before, but the franchise also reminded their faithful of recent journeys to the apex. 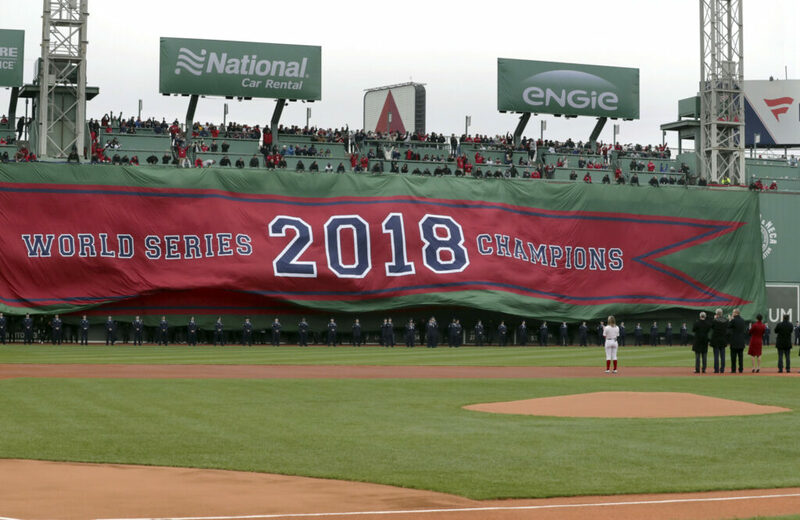 Tuesday’s celebration began with the titles from long ago, displayed on the Green Monster with modest banners for the championship years of 1903, 1912, 1915, 1916 and 1918. Then the monster-sized banners for 2004, 2007, 2013 and 2018. When the Pops broke into “We are the Champions,” out walked stars of the past. 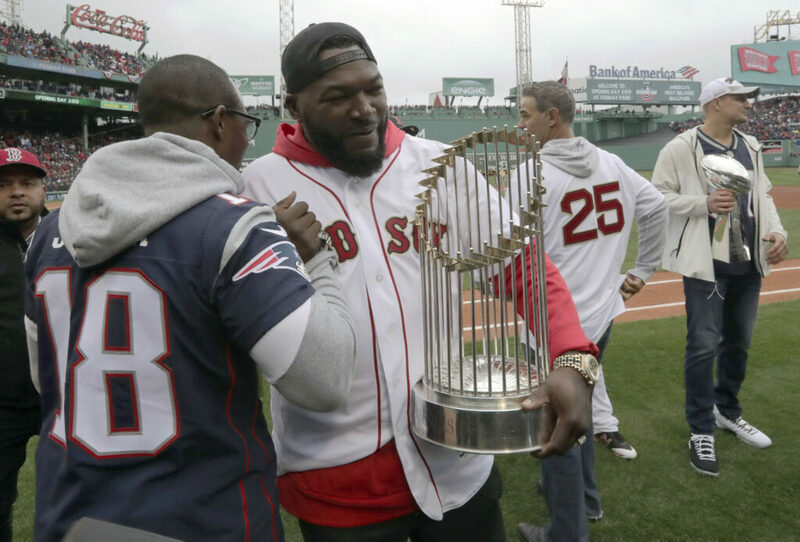 Pedro Martinez, Mike Lowell and David Ortiz carried World Series trophies; Ortiz gripping the 2013 trophy with one hand – like he was carrying a jug of milk – and holding his phone in the other. Manny Ramirez strolled onto the field, as did Curt Schilling. “I didn’t expect (them),” Cora said. “The ceremony was beautiful. That’s how we do it here … It was tremendous. A fourth world championship in 15 seasons. 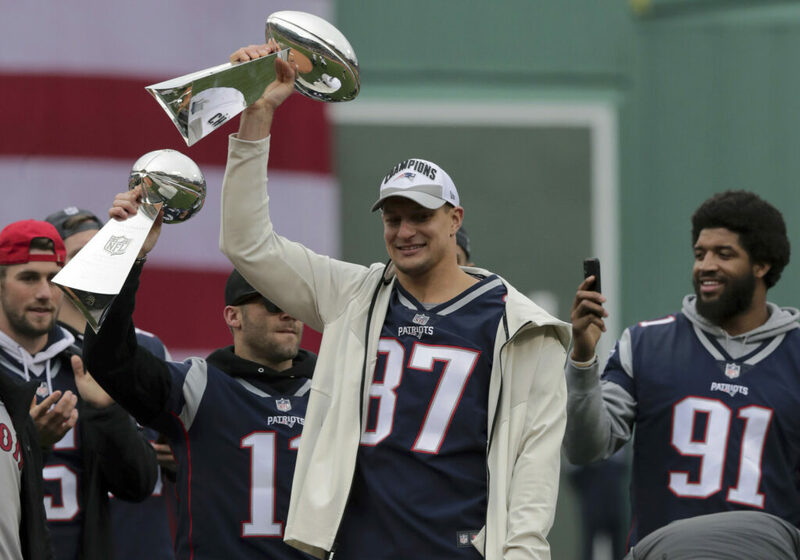 There have been valleys, for sure, but four titles say something – as does Boston’s manner of winning them. This organization has evolved. Fans in Portland have witnessed it. In 2003, when the Portland Sea Dogs became a Boston minor league affiliate, the farm system was barren. 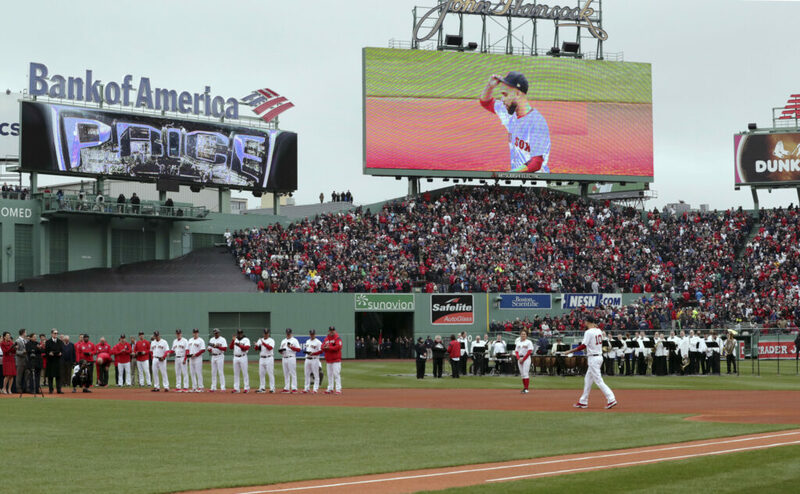 I remember the 2005 ring ceremony at Fenway. 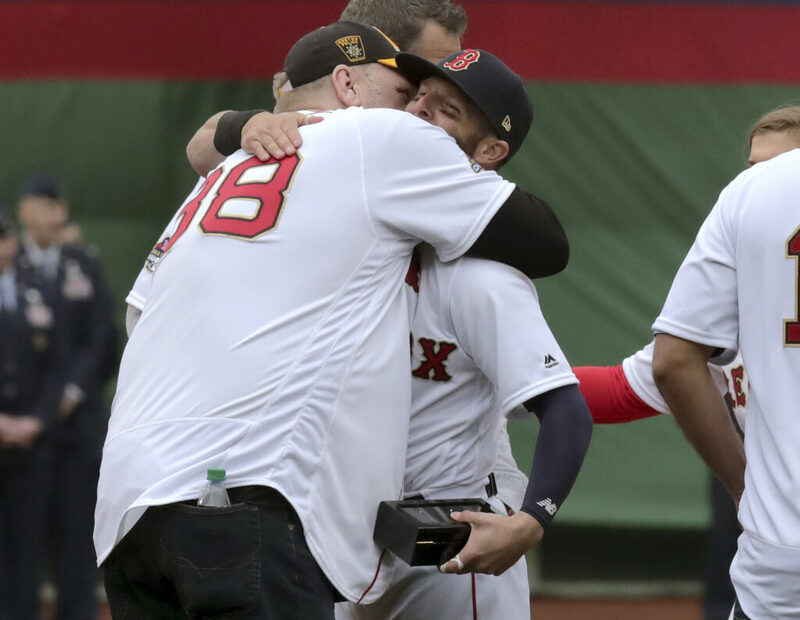 Two players from the Sea Dogs/Red Sox affiliation received rings – Kevin Youkilis, who made the 2004 postseason roster, and pitcher Abe Alvarez, who made one spot start in the regular season. Trot Nixon was the only other homegrown player on the playoff roster. 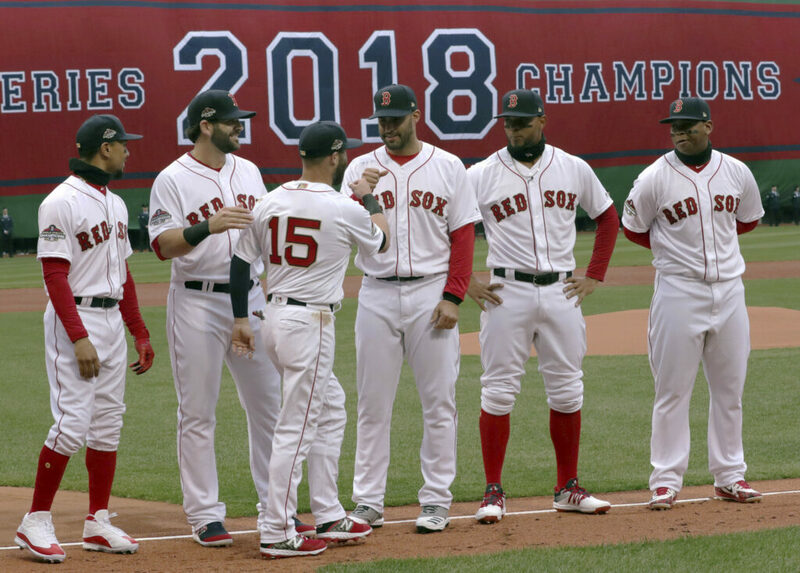 Then came the 2007 title team with Youkilis, Dustin Pedroia, Jacoby Ellsbury, Jonathan Papelbon, Jon Lester and Manny Delcarmen among the former Portland players – Ellsbury jumping from Double-A to World Series standout in the same year. In 2013, Xander Bogaerts and Brandon Workman made the Portland-to-World Series leap. Jackie Bradley Jr. also got a ring. 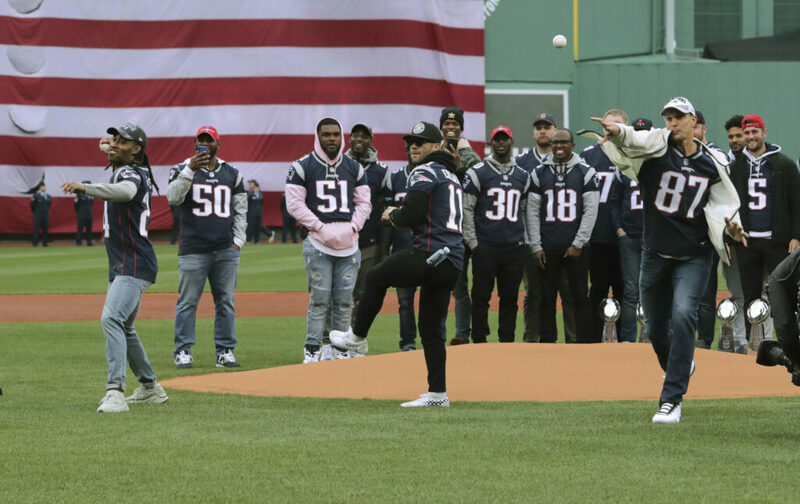 Pedroia, despite an injury-filled 2018, picked up his third ring on Tuesday (matching Ortiz). 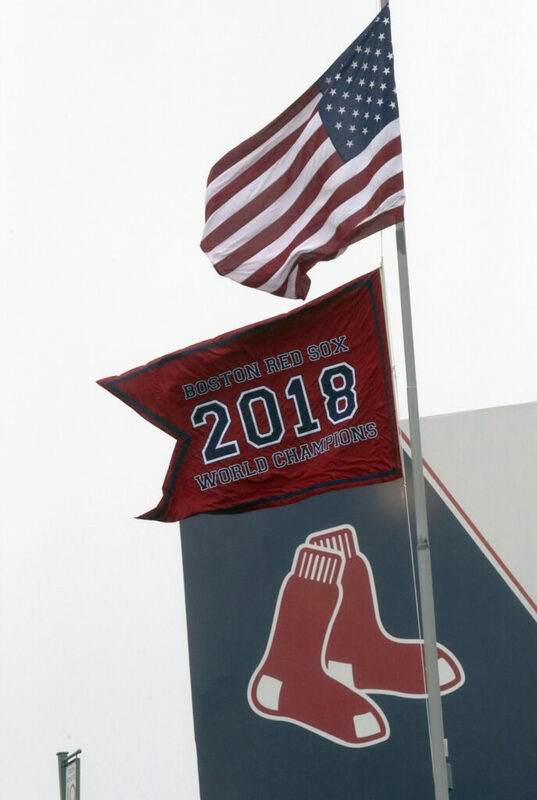 Other former Sea Dogs got their first rings – Mookie Betts, Andrew Benintendi, Rafael Devers, Christian Vazquez, Blake Swihart, Matt Barnes, Brian Johnson and Tzu-Wei Lin (all but Lin and Johnson were on the postseason roster). Third-base coach Carlos Febles (Sea Dogs manager, 2016-17) also got his jewelry. It’s quite a treat to see kids from Hadlock Field enjoy their view from atop the baseball world. Now … it’s time to be greedy. When can we expect the next ring ceremony? Is 2020 too optimistic, especially since this team has started 3-9? Not to put a damper on a lovely ring ceremony, but three wins in 12 games? “We got our rings,” Cora said. “Now we have to get back to playing good baseball.